Ghostwriting for CEO Ken Cho, this blog posts explores what CMOs need to consider when choosing the right next generation analytics platform for their company. Check it out of People Pattern's Blog or see a PDF here. CEO and Founder Charlie Rall looked to become a thought leader in video producing or eCommerce brands. Click on the bullet points below to see blog posts I crafted on his behalf. The LIVESTRONG Leaders Program engages volunteers across the globe to help their mission to improve the lives of people affected by cancer now. As copywriter at the LIVESTRONG Foundation, I served as ghostwriter for CEO Doug Ulman who put me in charge of writing inspiring copy for his letters, invitations and other content. 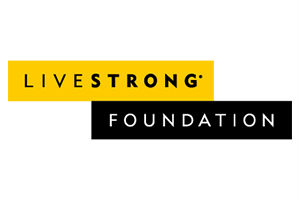 Click here to view a letter I wrote on behalf of Ulman addressing the LIVESTRONG Leaders. "I believe that without the continued support of you, our leaders on the front lines, we could not accomplish what we do. LIVESTRONG is people and without you, there is no us."